Take home a brand-new HP Laptop or desktop PC of the highest calibre, exclusive to ITC Sales. We’re proud to offer an extensive collection of high-quality systems at rock-bottom prices, from the market leading manufacturer. Every laptop and desktop PC from ITC Sales comes backed with an extensive warranty and our total customer service package as standard. All machines are in stock and ready to ship right now, though are available in limited quantities only. 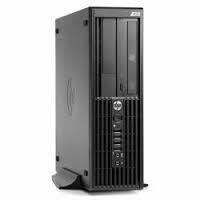 Grab a bargain desktop PC today while stocks last.